Buzdar succeeded by bagging 186 votes while PML-N's Hamza Shehbaz stood runner-up by getting 156 votes. 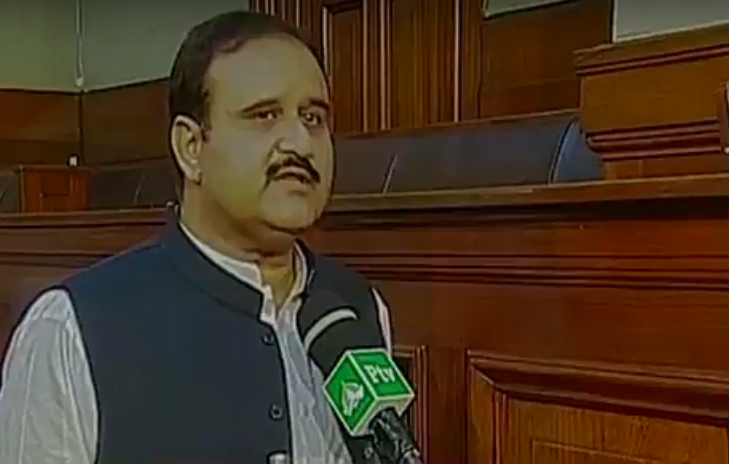 LAHORE: The Punjab Assembly elected on Sunday the Pakistan Tehreek-e-Insaaf (PTI) MPA Usman Buzdar as the new Chief Minister (CM) Punjab. The Punjab Assembly session for the election of next Chief Minister (CM) Punjab commenced after a delay of 1.15 hour today. The newly elected Speaker Pervaiz Elahi presided over the session. The ceremony started with the recitation of Holy Quran. The speaker then directed members to stay in lobby for further proceedings. Hailing from Taunsa Sharif, PTI’s Usman Buzdar got elected to the Punjab Assembly for the first time in the July 25 polls. He was among the southern Punjab heavyweights who defected from PML-N to formed the Janobi Punjab Suba Mahaz (JPSM) just a few months before the July 25 elections. The alliance later merged into the PTI. Usman Buzdar comes from a family that remained associated with the Pakistan Muslim League-Quaid (PML-Q) during the Musharaf years. He served as the tehsil nazim of Taunsa Sharif, working closely worked with then Chief Minister Chaudhry Pervaiz Elahi, who is now the PA speaker. After Buzdar’s nomination for the Punjab CM slot, a section of the press reported that the PTI’s nominee had allegedly paid blood money to resolve a murder case against him after a court found him and his companions guilty in January 2000. The newly elected prime minister took to Twitter saying that he has done his “due diligence over the past two weeks and have found him [Buzdar] to be an honest man.” Buzdar has “integrity and stands by my vision and ideology of Naya Pakistan,” the prime minister tweeted.